Roosters line up at the market. 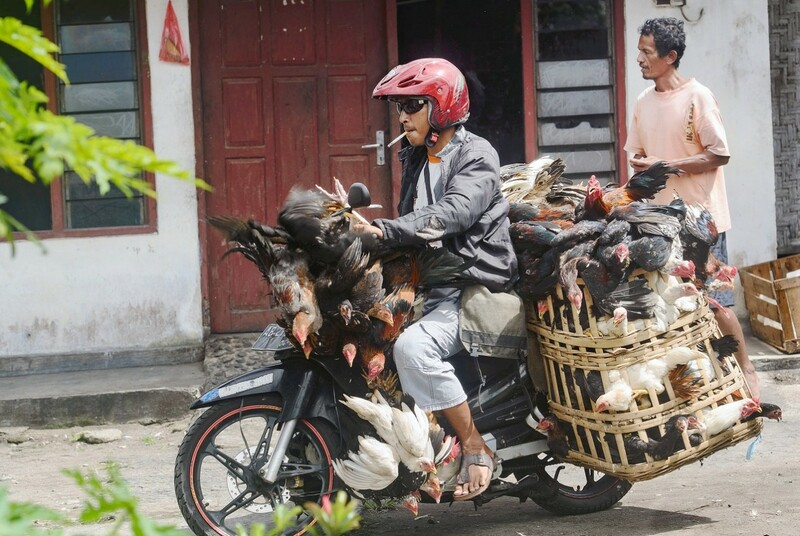 For sale: A man takes his chickens to the market. The duel: People gather around a cockfighting arena. Kung fu rooster: Cockfighting is a regular scene at a market near Prambanan Temple in Yogyakarta. 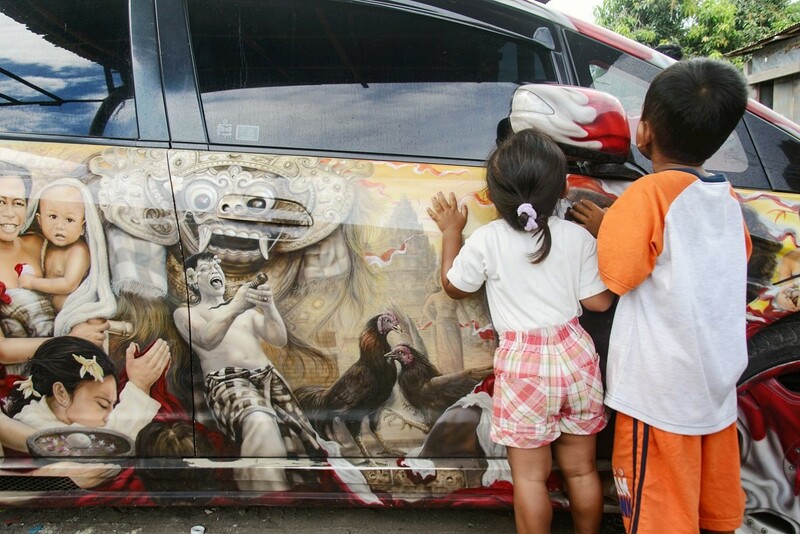 Curious: Children look inside an artfully-decorated car near the cockfighting arena. The booster: A man sells different kind of “medications” believed to boost the power of a rooster. A middle-aged man was screaming his heart out. “Come on Won. Whack it. Give it a KO!” he exclaimed on the sidelines of a cockfighting arena at Prambanan Market in Yogyakarta. The rooster, named Kliwon, responded by dealing a kung fu blow to the head of his opponent, Blirik. Soon, Blirik was wobbling toward the edge of the ring. Blirik lost the fight. It was a regular kind of atmosphere on a corner of Prambanan’s chicken market, which opens twice a week on the Legi and Pon days of the Javanese calendar. 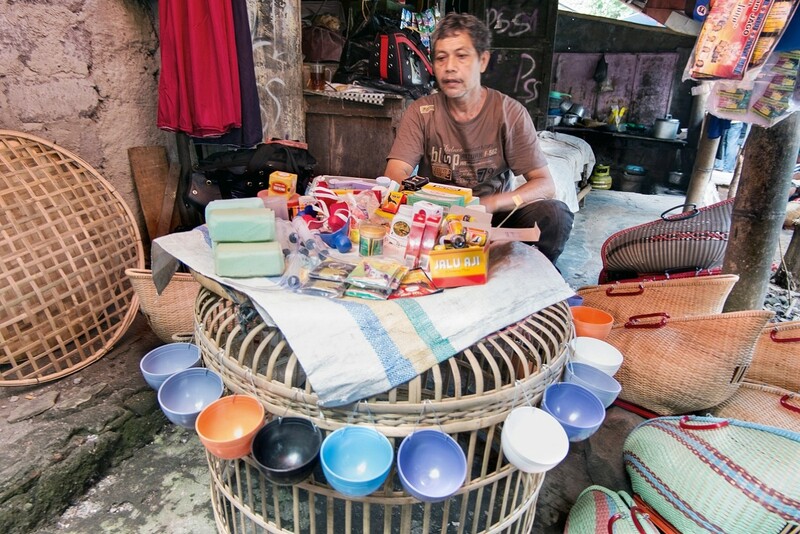 The market, located some 500 meters from Prambanan Temple, is a busy place, not just with sellers of roosters and broilers, but also masseurs, food stalls and cockfighting rings. 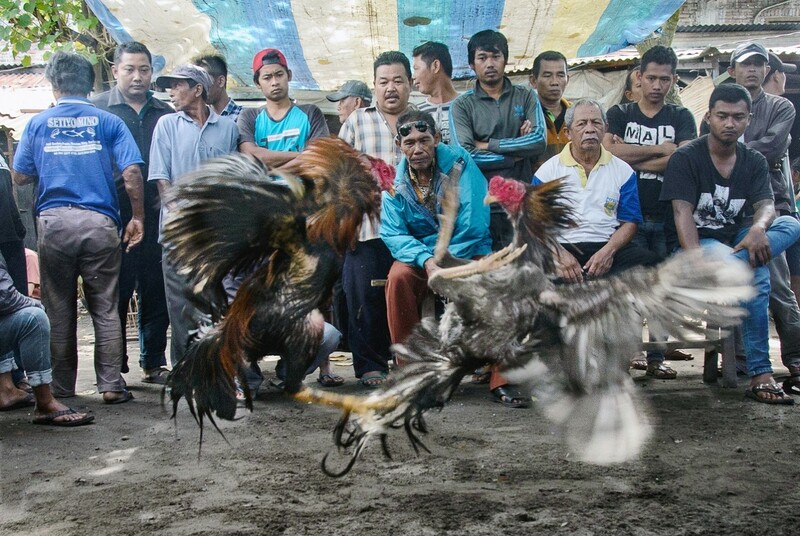 Cockfighting is a favorite pastime for people around the market, with three open arenas always packed by spectators expressing joy, satisfaction, disappointment and suspense. Yet an air of sportsmanship prevails. “There’s no gambling here. 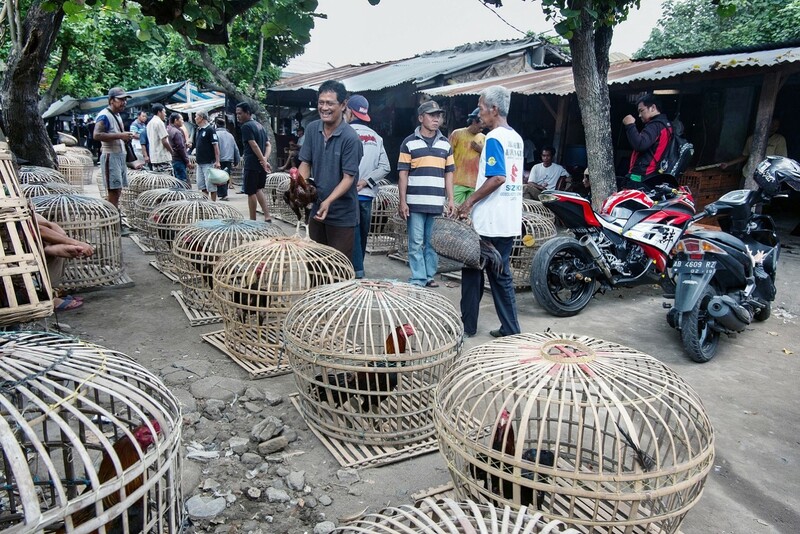 They do it just as a hobby,” said Gatot Tripintoko, a Prambanan cockfighting fan. The year 2017 ushered in the Year of the Fire Rooster according to the Chinese calendar, and at the same time, the upcoming simultaneous regional elections will take place all over Indonesia, where “roosters” from different regions will fight for regional leadership. 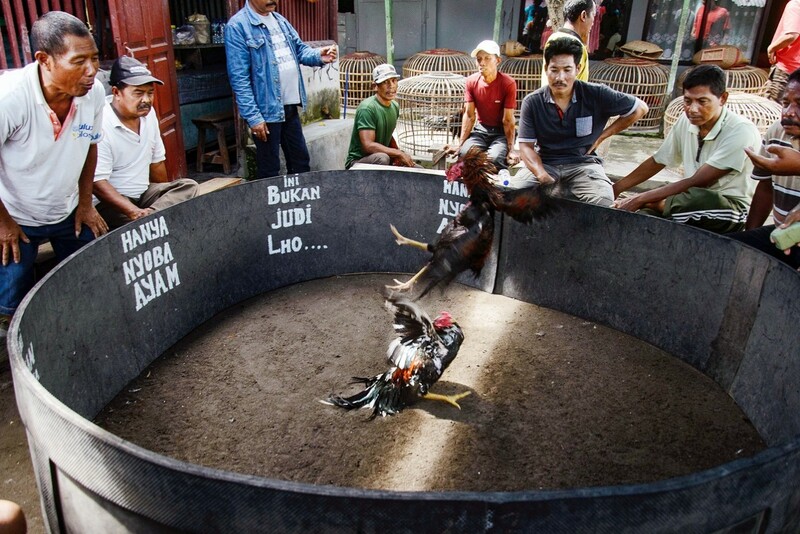 Like in the cockfighting arena, the winners and losers come and go, but in the spirit of sportsmanship, the roosters in the upcoming regional elections must prepare well lest they get beaten by the kung fu strike that defeated Blirik in Prambanan.